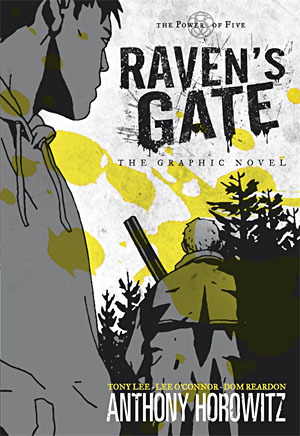 A stylish and atmospheric graphic-novel adaptation of the Number 1 bestseller Raven's Gate, from the creator of Alex Rider. Sent to Yorkshire on a rehabilitation programme, Matt finds himself in the midst of a conspiracy of witchcraft and murder. The Old Ones - monstrous godlike beings once banished from our world - are trying to return. Matt is about to discover that he alone stands between the forces of evil and the annihilation of humanity Featuring striking, high-contrast black-and-white art, this distinctive graphic novel captures the brooding atmosphere of the bestselling book. Note: This series is called 'Gatekeepers' in the U.S.